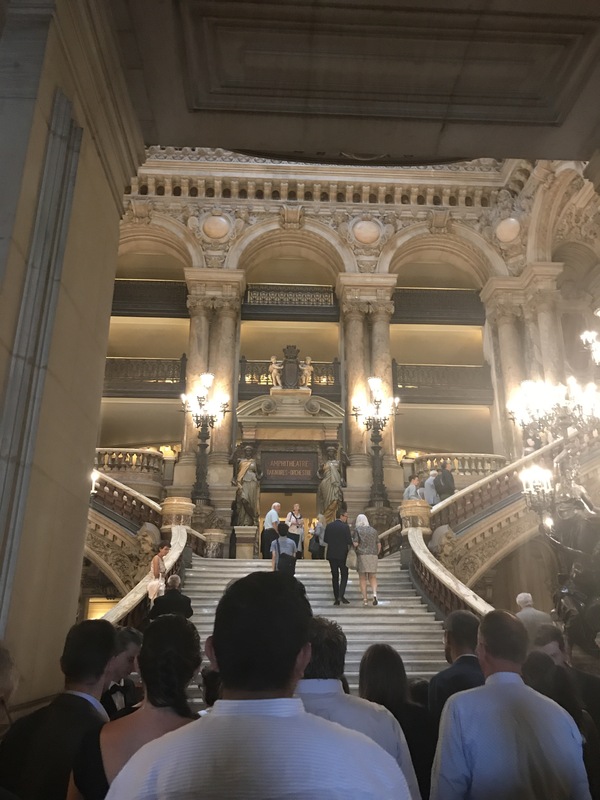 Tuesday, 7/11 I visited the opera house, Palais Garnier yesterday, but today was the actual day of the performance of Rossini’s La Cenerentola. Which is basically Italian Cinderella. 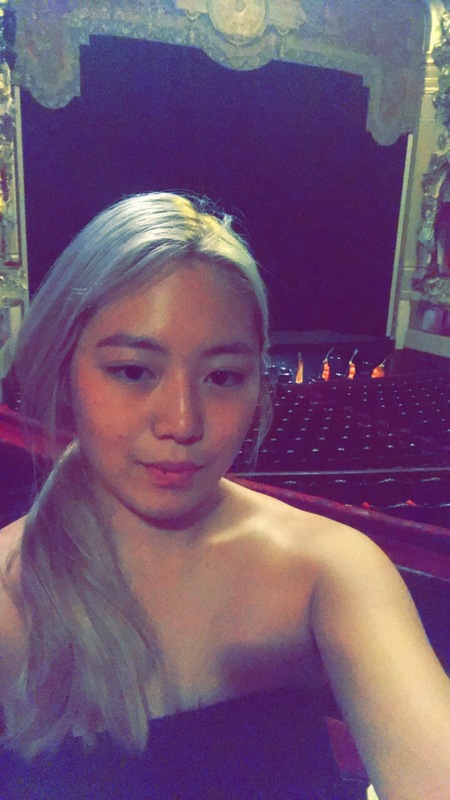 I arrived there early before the performance and had a chance to look around inside the opera house. The pictures don’t do the justice of how beautiful it was. 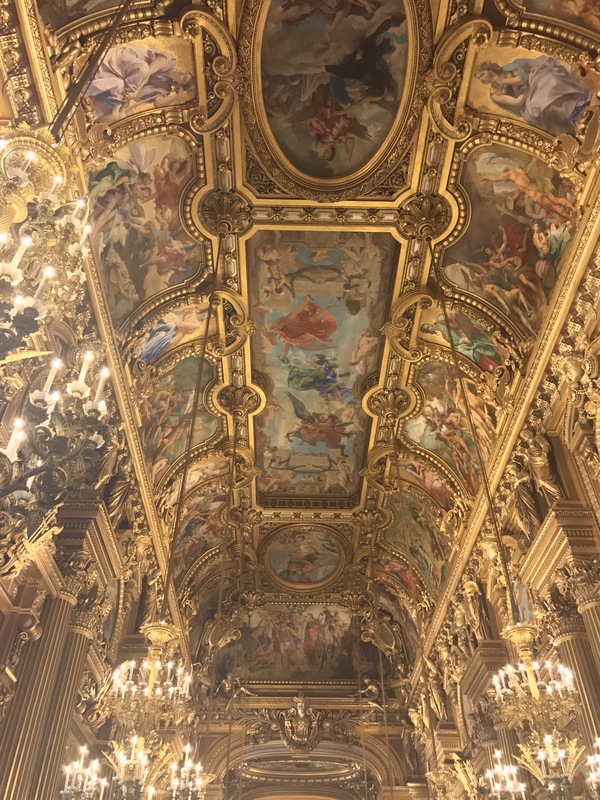 This was just a ceiling of a hallway outside of the opera house. I was so shocked when I saw this. 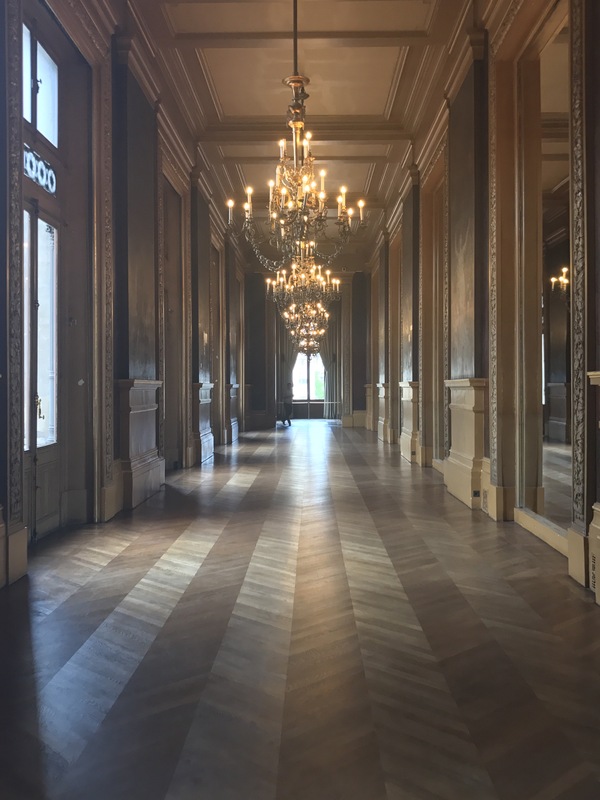 I didn’t expect anything like this because I would’ve never thought of how beautiful a hallway could be. 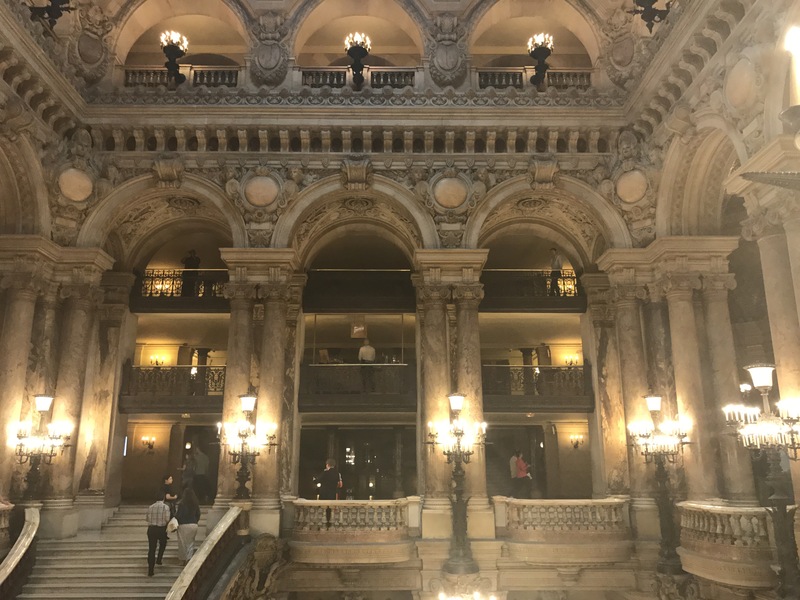 I have to say, the metropolitan opera house is nothing compared to the magnificent historical architects. These were the entrances to the seats. 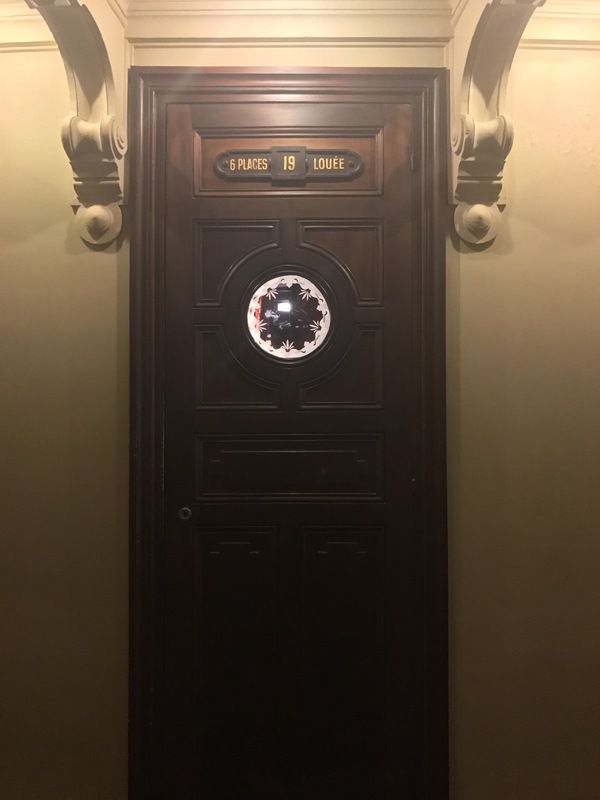 I was surprised how they kept the tradition of these doors. Selfies from my seat lol. I have to say La Cenerentola was very delightful. The songs all were rhythmically amusing, the songs were mostly sharing the same melodies with similar endings. 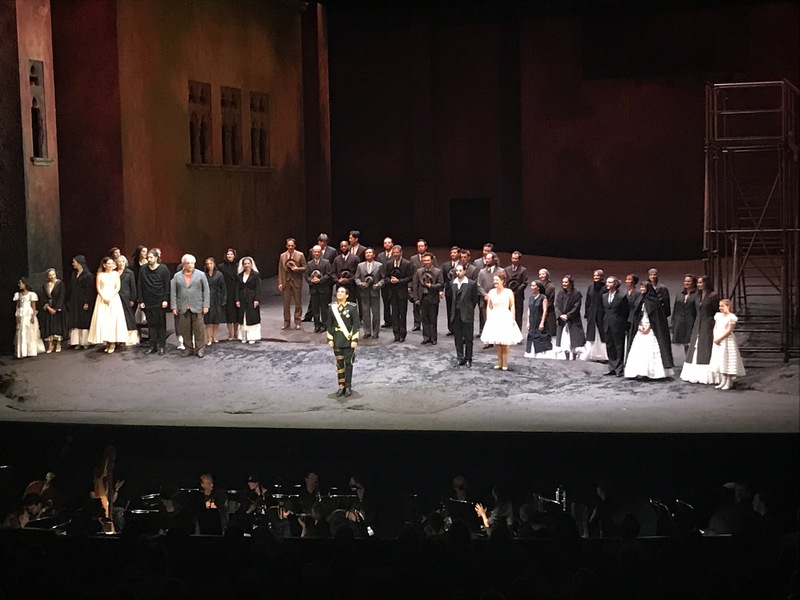 That’s why I think anyone who is not educated in opera would love this opera because it’s not hard to digest and it is definitely less heavier than the other serious operas. I can’t quite say the acting was great but it was definitely good enough to amuse and to make me laugh during the entire show. Vocals were great too. 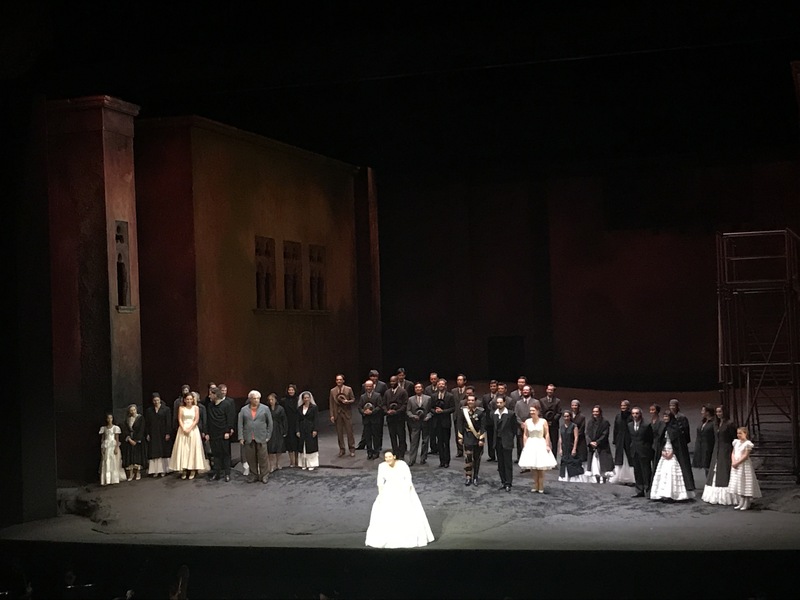 I felt everyone was exceptionally good .. until the last song where Angelina(Cinderella’s name) sings the most famous aria of this opera “Non piu mesta”. Technically she was almost perfect. Great. But I could tell while she was singing, she seemed as if her goal was to hit all those notes and sing perfectly. I wish she sang it in a way that the audience could empathize with her of how happy she is. After all “Non piu mesta” means “no longer crying”. So I felt nothing in the end, when I was really looking forward to that song. In fact, I bet everyone did. But oh well it is what it is. 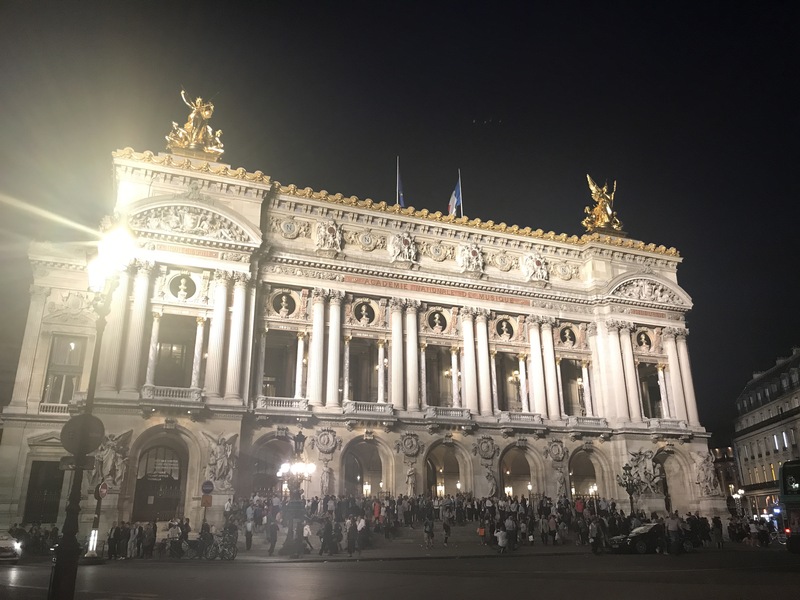 The person next to me was really disappointed, he booed the mezzo-soprano who played Cenerentola. I understood why, but it was overall a very good production. I fell in love with this first song of the very first act. Listen to it if you get the chance to !! Ps. 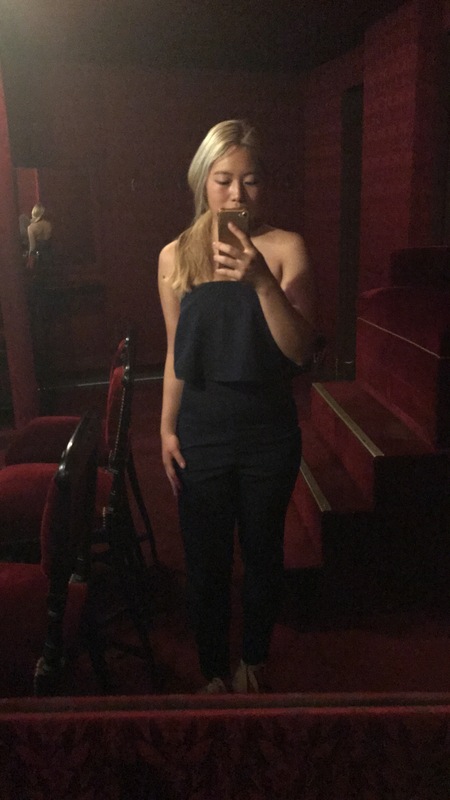 I’m so lucky and thankful that I got to see an opera in Paris !!!! Thank you for the posting. Im a big fan of your blog!